Tokyo claims that the sovereignty of the Northern Territories (referred to as Southern Kurils by Russia) has never been debatable and that the four disputed islands have been part of Japan since the early 19th century. This is confirmed, according to Japan, by— among other treaties— the Shimoda Treaty of 1855 and the Portsmouth Treaty of 1905 at the conclusion of the Russo-Japanese war. For its part, Russia pays little heed to Japan’s claims on the islands, instead pointing to a number of international treaties—including the Yalta Agreement (1945) and Potsdam Declaration (1945)— as proof of its sovereignty. Russia also emphasizes that the 1951 San Francisco Treaty serves as legal evidence that Japan acknowledged Russian sovereignty over the islands, a claim Tokyo vehemently denies. Japan has also repeatedly rejected a Russian offer to settle the dispute with the return of the two smallest territories of the Habomai chain and Shikotan since they only constitute 7 percent of the land in question. The conflict is further fueled by potential offshore reserves of oil and gas, as well as rich fishing grounds. Around 20,000 Russians now live on the islands. Back in June, Russian Defense Minister Sergei Shoigu ordered a quicker build-up of military facilities on the contested territories. And while attempting to make it sound like any other domestic trip to Russia’s Far East Russian Prime Minister Dmitry Medvedev has taken in the previous months to evaluate whether a region should be eligible to receive aid from a Russian federal infrastructure improvement program, the prime minister, by stating the preeminence of the Russian Armed Forces on the islands, vicariously acknowledged that the Kuril islands are a special case. 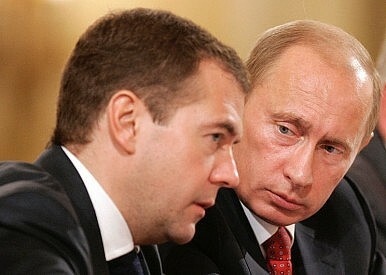 According to Medvedev “the Armed Forces, and the Defense Ministry of Russia are dealing not only with the military but also with the civilian component” on the Kuril Islands.”It is necessary to join efforts, all the more so as the islands performed and will continue performing not only the usual function but also the function of protecting our frontiers. That is why, special attention is paid to the units of the Russian Armed Forces present there,” he emphasized. “We can consider the issue of creating advanced development territories in the Kurils, of course, depending on what projects surface. The purpose of the new program is to improve the living conditions on the islands, as much as possible, in order to attract people to the region, to ensure those who already live there with jobs, and provide all the necessary social infrastructure such as kindergartens, schools, medical facilities,” he added. Japan’s Foreign Ministry has announced its intentions to organize a visit of Russian President Vladimir Putin to Japan by the end of the year in order to resolve the dispute. However, chances for a quick resolution appear to be slim. The Kremlin cautions that this Friday’s Abe-Putin meeting will not resolve a long-standing territorial dispute.